The Physics Symposium would bring together world leading scientists and young researchers in various fields of Physics from across the U.S. and Korea. This meeting will serve as a timely event for the enrichment of research collaboration and networking between US and Korea. The progress of the Institute for Basic Science (IBS) and the associated Rare Isotope Science Project (RISP) as part of the International Science & Business Belt (ISBB) in Korea is in close connection with the Facility of Rare Isotope Beam (FRIB) and the Electron Ion Collider (EIC) project in US. Chemistry has been crucial to the understanding of the behavior of materials on molecular level and the advancement of modern technology through its application. 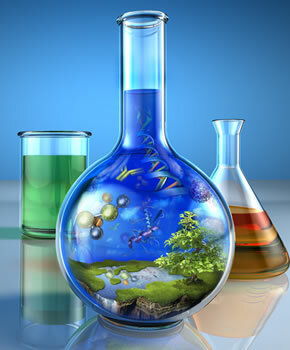 Much of recent advances in chemistry were made at the interface of chemistry, physics, biology and engineering, and interdisciplinary research is becoming increasingly more important in solving important and complex problems. This year’s Chemistry Technical Group will organize symposia focusing on the following topics with several co-organized sessions with other Technical Groups: (1) Design and characterization of the materials with (i) energy & device and (ii) biomedical applications, (2) Characterization of their structures, properties and functions using experimental, theoretical and computational tools. The researchers in academia, industry and government laboratories and students in broad range of disciplines working on the above subjects are welcome to participate. The Math/Applied Math/Statistics (MAS) symposium will bring together leading researchers and young scientists from the US and Korea for an exchange of new ideas and invaluable information. The symposium will provide opportunities to present and learn about the most recent advances in the areas of mathematics, applied mathematics, statistics, and related fields and demonstrate their applicability to natural sciences and engineering. UKC will be an exciting venue to interact with researchers from other scientific and engineering fields, promoting interdisciplinary collaboration. We cordially invite you to take part in UKC 2017 MAS symposium.